A week from now we celebrate Independence Day: A day where we celebrate patriotism and freedom through various wars. 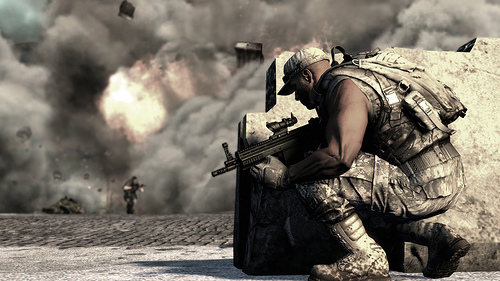 In recent years, the video game industry has (for the most part) capitalized on these wars by developing simulation games based on these various wars. The two most popular of these, Call of Duty and Battlefield, have broken records left and right. 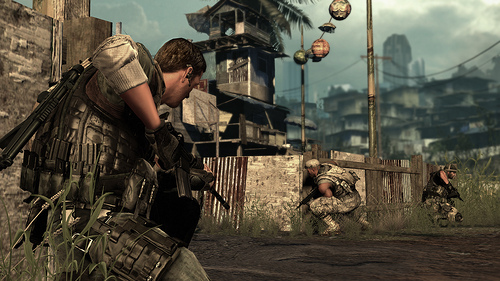 However, prior to either of these franchises, Sony and Zipper Interactive threw their hats into the ring with a series of third-person tactical shooters known as SOCOM. 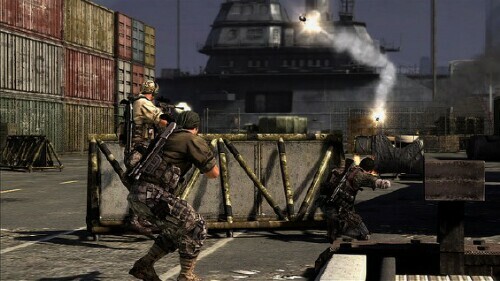 The SOCOM (short for Special Operations Command) series began in 2002 on the Playstation 2 with SOCOM U.S. Navy Seals. The formula to the game is pretty simple: You're a Navy Seal team sent out to stop anything that could cause harm to a country or countries. Granted, everything is scenario-based as the game takes you to random places such as Alaska and the Congo. 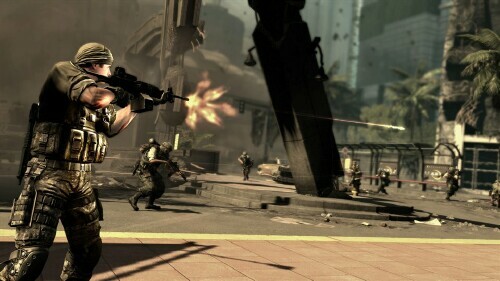 You are also graded at the end of each level depending on stealth, skill, and other aspects in order to attempt to gain a new difficulty once the game has been completed. 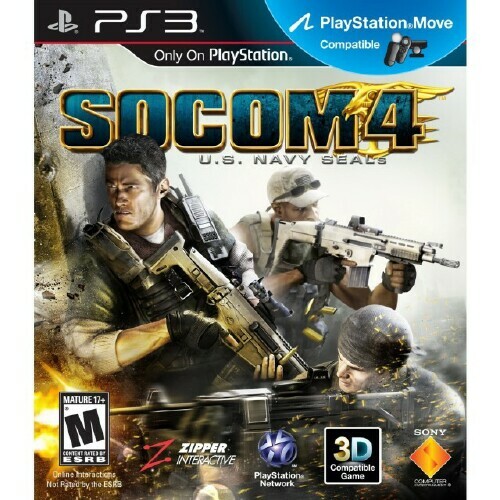 The newest adaptation to the SOCOM franchise, SOCOM 4 takes a Seal Team to Malaysia where you control Ops Commander Cullen Gray. 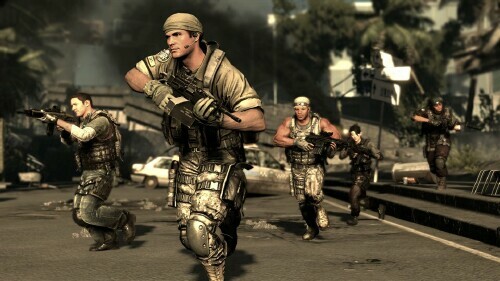 Your team is joined by Korean, British, and Australian operatives in certain parts of the game. 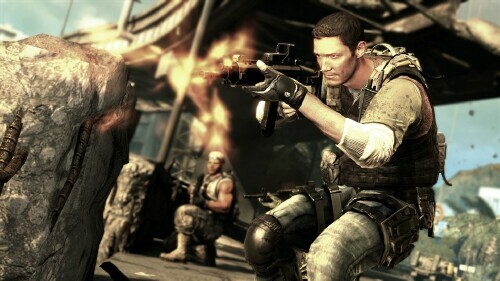 You also control Korean operative Lt. Park in some levels. This mission is simple (at least on paper): Fight and take down both native rebels known as Naga as well as a terrorist group known as ClawHammer. 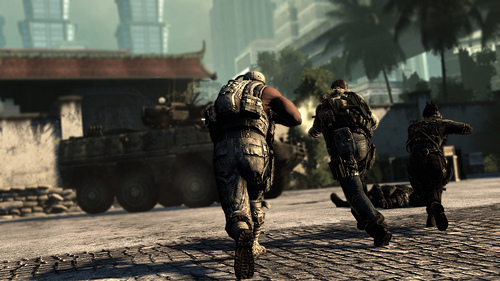 In SOCOM 4, you are able to control your teammates by showing them where to go (waypoints), to attack enemies, and other actions. 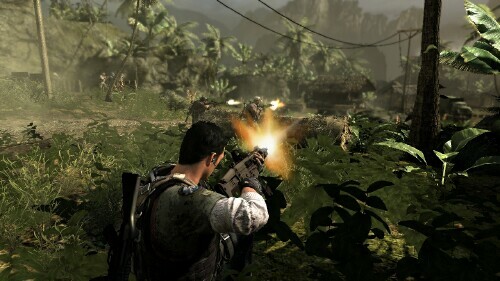 In single player mode, the gameplay changes from level to level. Where one level might be a big firefight with tanks and mortar fire, the next level will be a stealth (think Metal Gear/Splinter Cell) one. As you progress, you also unlock weapons and other accessories for your weapons. 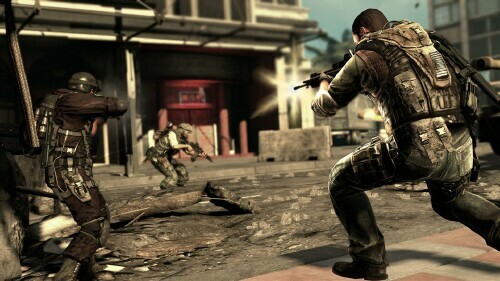 In Multiplayer, you can go head to head with players in modes such as Suppression, a Team Deathmatch-based game and Uplink - SOCOM 4's" Capture the Flag" Mode. You can also unlock various character skins as you go along. 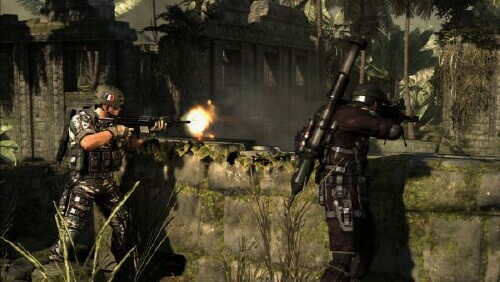 Multiplayer mode also provides various weapons such as shotguns, gas grenades, and even sniper rifles. If shooting other online opponents isn't your thing, there is also a Co-Op mode where you can take out the computer enemies with some friends. The game also kind of plays a bit like Counter-Strike, where it's more team-based and you can tell your colleagues where to go and what to do. As I alluded to before… the other reason I skipped cut scenes: The Dialogue. It's pretty wooden, and really does nothing to appeal to the game. The first cut scene introduces one of the main characters. At first I was under the impression that he would be mute, much like Gordon Freeman is in the Half-Life series. But after a ridiculously long pause, the character spoke, which brings very little extra to the game. In addition to the cut scene dialogue, the gameplay is pretty vanilla. It's a 3rd person shooter game, but they practically glue the person to your hip. It reminds me of the original Syphon Filter game (on Playstation 1) the game also doesn't seem as realistic as CoD or BF. During the Mortar Strike part on level one, it's super-easy to shoot bad guys from the cliff you're standing on (and this was on Normal.) On later levels, it seemed virtually impossible to even locate enemies due to the loads of debris in certain places. The game also seems more like a Playstation 2 game than a Playstation 3 game. I don't see or hear anything spectacular about the game itself. Again, the whole thing just seems vanilla.